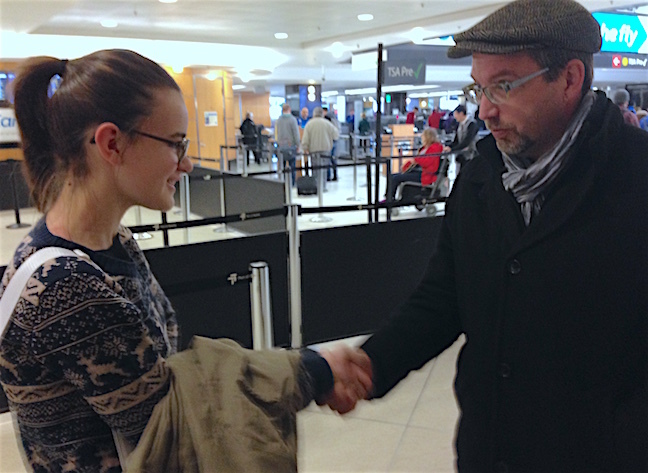 Business was concluded with our French guest at approximately 11 this morning, a transaction that culminated with this handshake at SeaTac International Airport. I believe all parties have been satisfied with the business that took place over the past 5 months. And I am pleased to report that Celeste knows how to give a firm, American handshake. 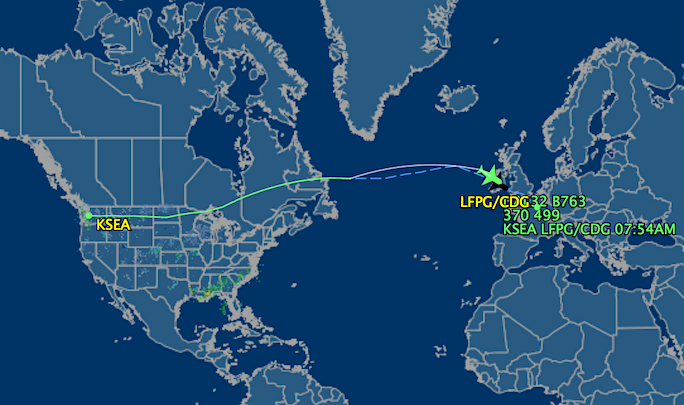 Meanwhile, we have been tracking Celeste’s flight to Paris and see she is rapidly approaching France. Only an hour to go for her to put her American English behind her and return to her native language. No more having to watch The Tick, deal with Americans like me, and tolerate a high school in which you’re provided a locker but not the time to utilize it. Home sweet home, in other words! But I have the buttercups, ha!